The framework functions flawlessly with all operating systems. That is excellent news for newbies; they don’t need high-end computers to get started with their web development journey. Besides, Bootstrap is free and comes with zero strings attached. When you decide to get your feet wet in web development, you don’t have to worry about those nasty cross-browser bugs – thanks to Bootstrap. Your new site should operate seamlessly on all the favorite browsers. Ideally, internet users prefer different devices, with mobile devices taking the lead. The framework responds accordingly to all screen sizes and browser types. Bootstrap is very user-friendly, it comes with precoded functions and design codes that are reusable. But there is a catch, you need to know when to make changes, or all your pieces will look the same. There is a large community of developers that love Bootstrap, so there is a solution to every possible problem. The open source nature of bootstrap invites criticism and improvements of its code from users. As a result, there are regular updates and the support is fantastic. In fact, their update rate is unrivaled. 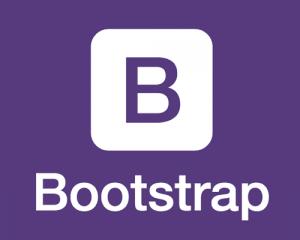 Due to its numerous advantages, Bootstrap is extensively used to develop front ends. About 73% of all websites use it. As a new coder, the framework should be high on your priority list.